These championship caliber socks are one of a kind. 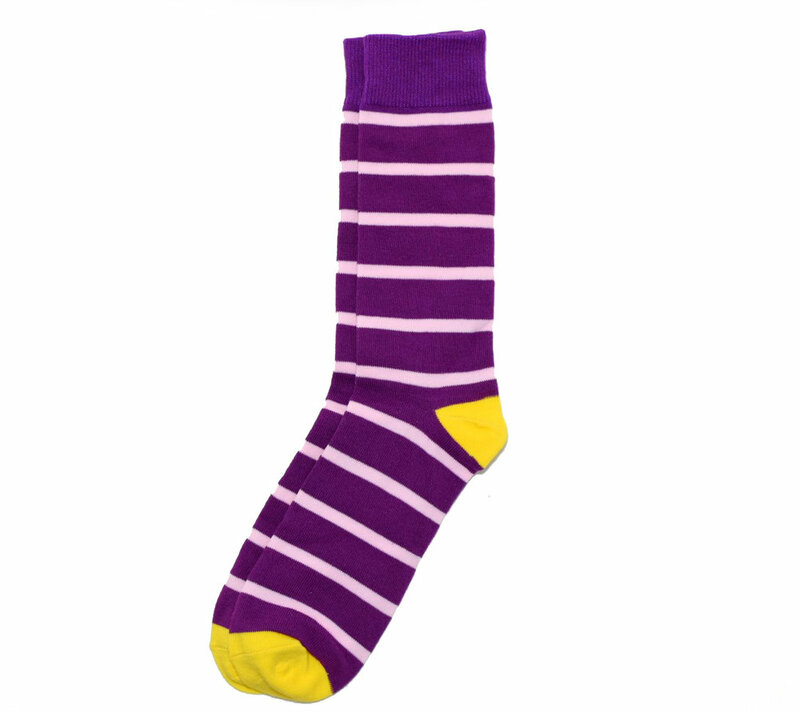 You may spot these socks being sported around the big city or by people who simply love the color purple and gold. The socks will give you the winning attitude to conquer the day! Rock these socks with a pair of shorts (or skirt) and show your style.